Few homeowners would turn down an offer of new kitchen cabinets. But when you consider the high cost of purchasing cabinets, rehabbing your existing cabinets begins to look enticing. Spray painting kitchen cabinets is one way to give them a sparkling, fresh look at a dramatically lower cost than new. Best of all, instead of being limited to the few stock color choices offered by the cabinet manufacturer, the entire spectrum of colors is now available to you. Spray Cans vs. Paint Sprayer: It's tempting to pick up cans of spray paint and use them instead of a paint sprayer. Without having to purchase a paint sprayer, you are able to start spraying your cabinets with a tough modified alkyd paint typically found in a range of 75 to 100 color choices. But this is only a viable choice for a cabinet or two since one can of spray paint covers just 20 square feet at a cost extremely higher than with canned paint. 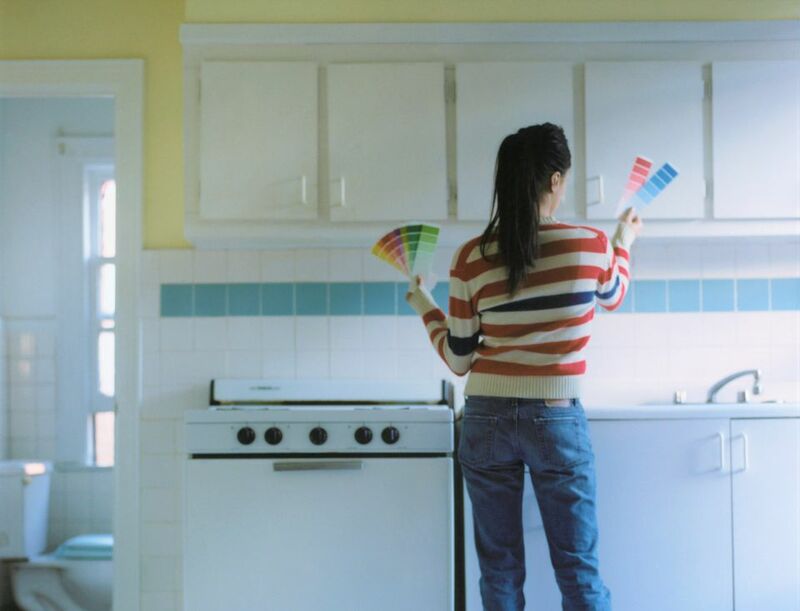 Instead, to paint an entire kitchen's worth of cabinets, you should buy, rent or borrow a paint sprayer. Whether you use the less expensive "cup style" paint sprayer (holds 1.5 quarts) or the more expensive type that draws directly from the paint can, either will be cheaper and less wasteful than using spray cans. Removing Cabinet Elements: The more sections of the cabinet that you remove from the kitchen and paint elsewhere, the better the result. It is difficult to control paint mist, no matter how well you sheet off the kitchen. Plus, it's easier to achieve a smooth, drip-free surface if you paint horizontally, not vertically. At the very least, you should remove the cabinet doors. The Importance of Prepping: The key to a perfectly painted cabinet is preparing the surface. 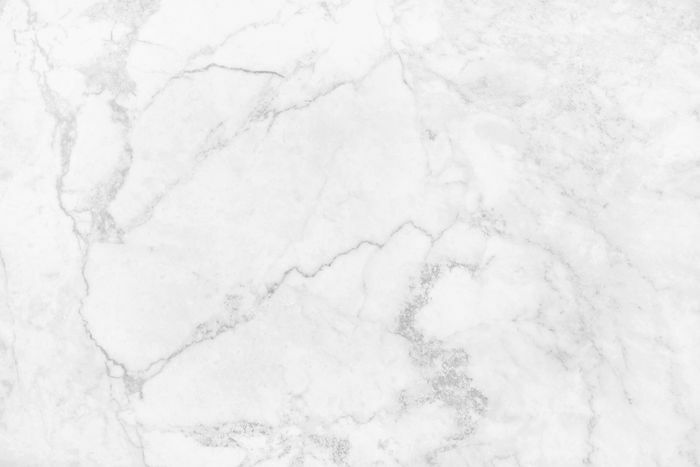 Because kitchen surfaces are subjected to years of abuse from grease and another residue, they need major cleaning. Understand that cleaning and sanding your cabinets comprises a large part of this project. Remove all items from the cabinets and place in a separate clean area, such as a back bedroom or basement. Remove contact paper from shelves. Begin by unscrewing cabinet doors and drawers from the cabinets. Remove cabinet fixtures (handles, knobs, etc.) and hinges on the doors and drawers and place in plastic bags. Label each bag with a Sharpie as to location. If you are able to remove the cabinet boxes, do this now. Place removed items in a spray area, such as a clean, dry garage, large workshop or under a covered patio. In the kitchen, mask all areas (walls, countertops, flooring, appliances, etc.) that you do not want to be painted with sheet plastic and painter's tape. A cloth dropcloth works better for flooring than plastic sheeting because it is not slippery. Lightly sand down all surfaces with fine grit sandpaper on a random orbital sander. The goal is to bring down the sheen, not to remove all coatings and paint layers. Be especially careful with thermofoil-coated cabinets, as this micro-thin layer will shred off if you sand too hard. Clean all surfaces you intend to paint with warm water and TSP. Areas near the stove and oven will be especially greasy and need more attention. Let all items thoroughly dry. Patch cracks and minor holes with wood putty. Sand down the wood putty after it has dried. Clean down one last time with a tack cloth to remove residual dust. Priming is essential for cabinets because of the risk of paint peeling. One great tip about priming is to ask the paint store to tint the primer (which usually comes in a white or base color) to match your paint color. This gives your paint coating a richer, truer color register. Move to your spray area. Turn on a fan to expel air from the spray area. After the prime coat has solidly dried, spray down with your first color coating. Be patient and go lightly: rushing spray paint leads to drips and splatter. Estimate about 60 minutes to spray down cabinet doors and drawer fronts for a medium-sized kitchen. Repeat at least one more time, leaving 4 hours or more between coats. Cabinet boxes are a separate issue. Move the sprayer into the kitchen and give the boxes and stiles a first light coating. Be very careful, as you are dealing with vertical surfaces, which tend to create drips. After at least 4 hours, add a second coat. Let everything thoroughly dry. Because there is the possibility of imprinting finger marks on paint that looks dry but isn't truly dry, leave a full day before you replace cabinet boxes, doors, and drawers. After these items are back in place, replace the door knobs, pulls and handles.